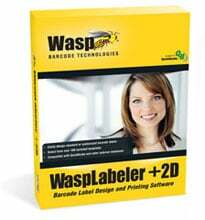 The Wasp WaspLabeler +2D is an easy to use solution for designing, creating, and printing barcode labels. Select from more than 100 pre-designed label templates, build a custom label, or start from scratch on your own design. Manually input or easily connect to an external data source, including Microsoft Excel, Microsoft Access, or QuickBooks to obtain your label data. Simply print your labels to any networked Windows printer, for improved tracking efficiency and accuracy. 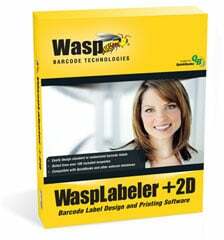 The Wasp 633808105297 is also known as Wasp Bar Code	633808105297	.